Long ago, in a land far away, Scott and I were the owners of a pest control business. 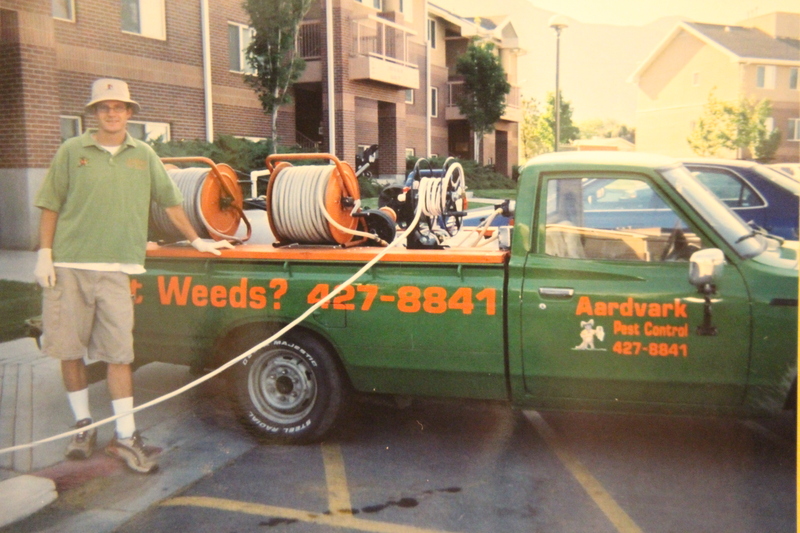 The name of the company, if you must know, was Aardvark Aeration & Pest Control. One freezing cold Saturday morning Scott woke me up early. He wanted me to help him test the brake lights on the trailer. He needed to make sure everything was running smoothly before spring began, and I was his lucky helper. I was exceedingly unenthusiastic about this venture, especially when it meant sacrificing sleep and a nice warm bed. But I was a dutiful wife so I obliged. We put on our heavy coats, left our cozy apartment, and walked out into the frigid early morning air. The frosted grass crunched under our feet as we headed to the Datsun. Icicles hung from under the truck and entering the vehicle (which had no heating) was like shutting yourself in a freezer. I shrank into my coat as I bounced along in the passenger seat trying to muster up a good attitude. There was not a soul on the streets. All intelligent beings were still at home. When we got to the storage units, Scott had to punch a code into a key pad so the mechanical arm would raise up and let us into the facility. Once we reached the unit where the trailer was stored, Scott hooked the trailer to the Datsun. While Scott pushed the breaks and fiddled with the wiring inside the truck, I stood at my post behind the trailer on the frost-covered gravel. It was cold, standing there in my pajamas and coat, with my hands shoved in my pockets. Scott: Are they on now? I started jumping up and down to create body heat. By now my nostrils were starting to freeze together. I’m pretty sure that is final stage of hypothermia. It took my mind a couple seconds to realize what just happened. By some incredible accident I had unknowingly expressed appreciation for doing something I didn’t want to do, and it produced the most unexpected and pleasant response! His reaction was filled with gratitude, even though I hadn’t meant a word of what I said. It warmed up the whole morning and I felt that yes, indeed, it is a privilege to serve. I still think of this experience all the time. The joy of being needed. And the great privilege it is to serve the one you love. He was a man who always practiced what he preached. Some of you may remember the post I made last Mother’s Day. 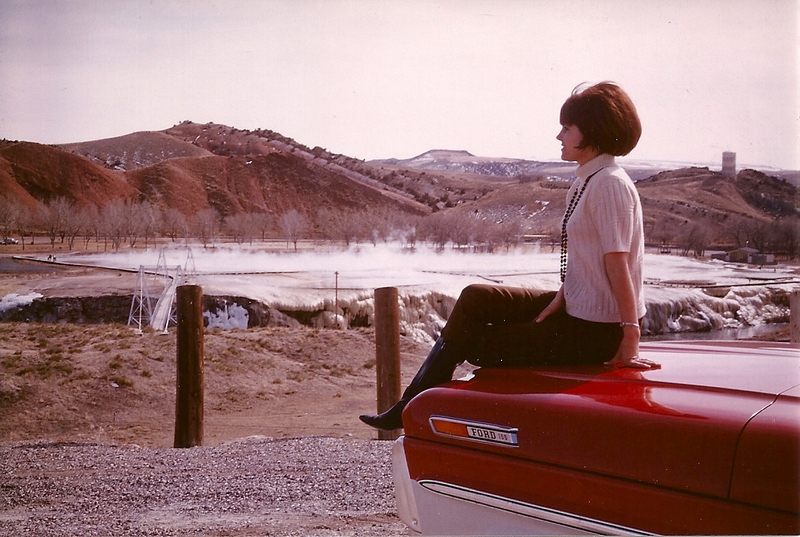 I wanted to make a part 2 of that post for this year’s celebration of Mom, but there were just too many wonderful photos. 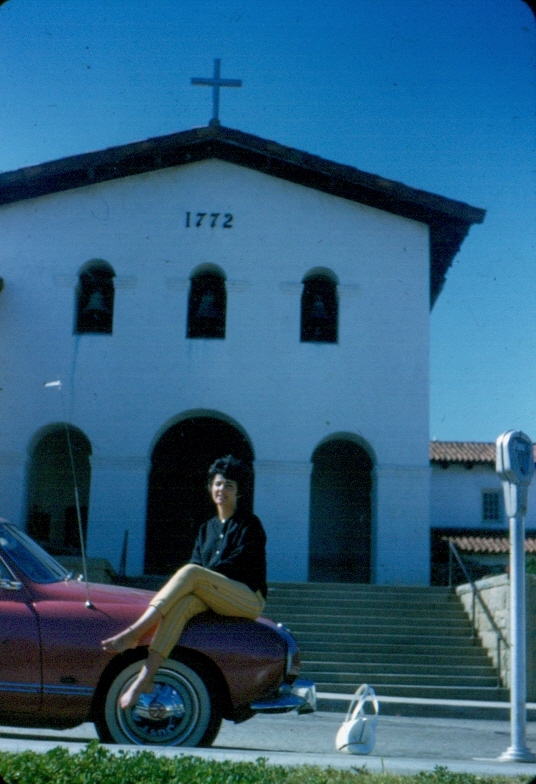 As I looked for a common theme, I discovered something about my parents I never knew: my dad loved to take photos of my mom in cool places in front of cool cars. The Fiat. 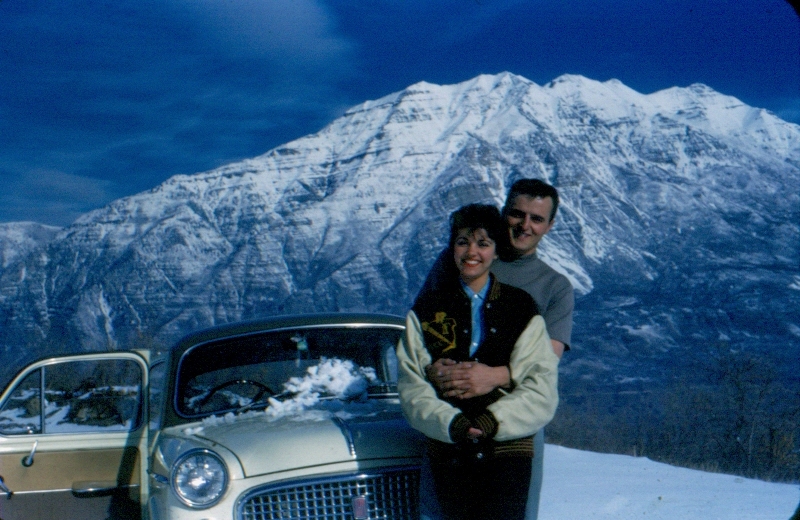 My parents drove this before they were married. My mom said she didn’t like this car because it rattled too much and she had to hold the door closed as they drove. 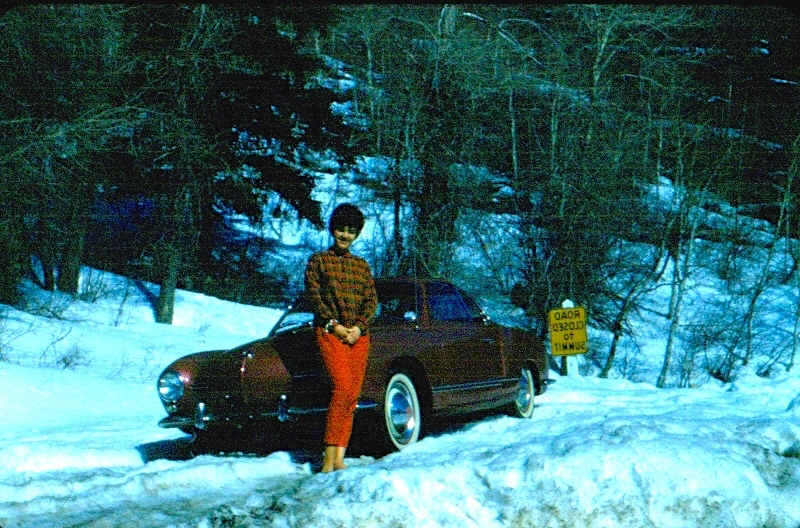 After they were married they drove this Karmann Ghia. 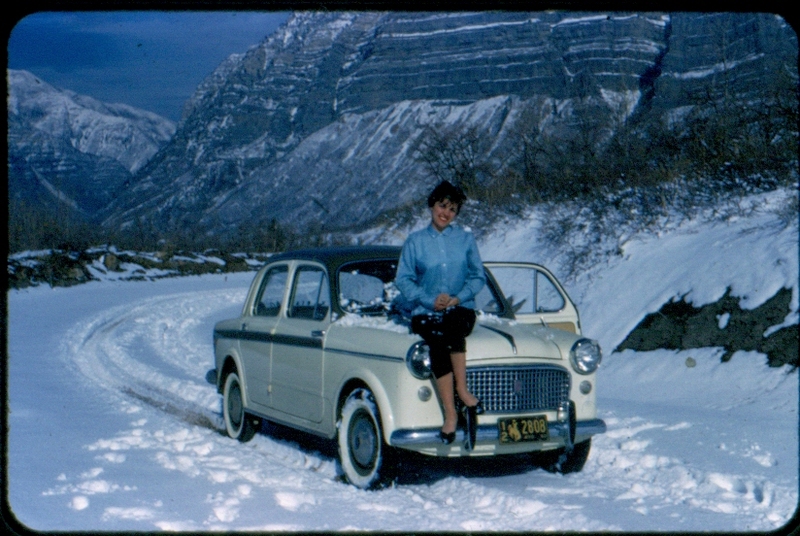 Mom loved this car. 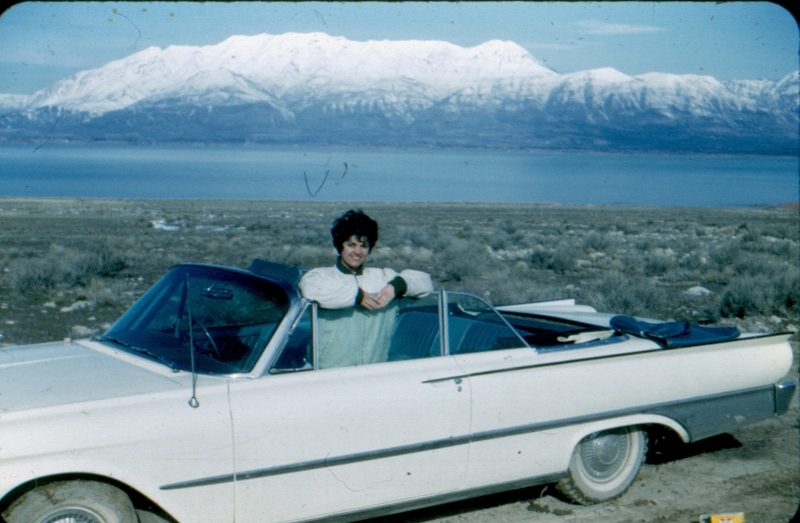 This was a borrowed convertible that they took on a little joy ride to the other side of Utah Lake. This is where Saratoga Springs is now. This is my dad’s very first fireworks stand/filling station in Jackson Hole. He and my mom ran everything since nothing was self-serve back then. This is her pumping gas for a customer. Then kids started coming along. Here is the first of seven. As the family got bigger the cars did, too. 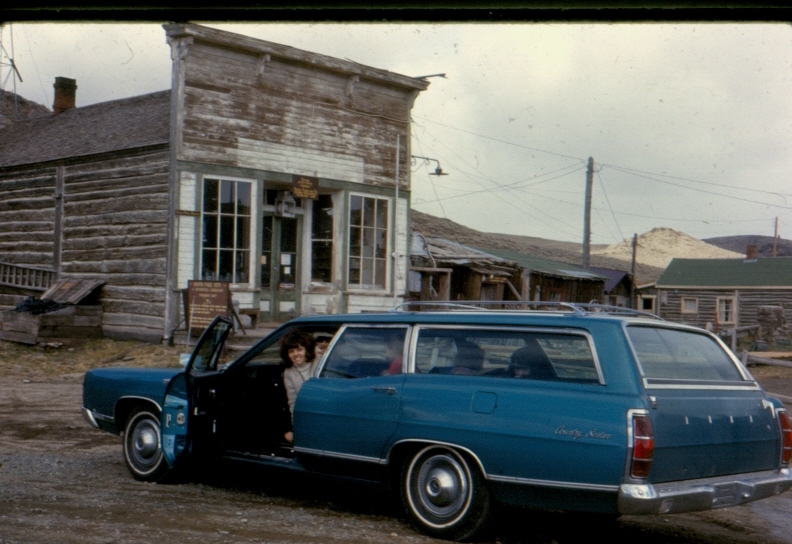 Lovely station wagon in the ghost town of South Pass City, Wyoming (I think). By the time I came along (#6), we drove a massive blue van with no seat belts. 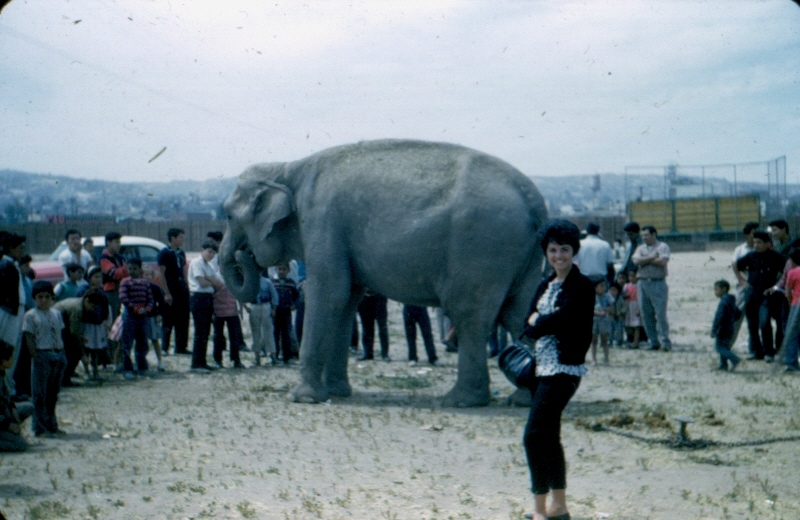 I cannot find any photos of my mom posing in front of that, but I’m sure she still would have made it look great.